Jasmine Marie Beauty: Spring Series Part 1- Feeling Cheeky! Spring Series Part 1- Feeling Cheeky! Spring has finally sprung, well sort of if we ignore the current weather, and I thought it was time to delve into my make up stash and dig out some products that have been in make up hibernation! I was going to do a post on all my favourite bits and bobs for Spring but when I looked at the pile of stuff I had we would have been here for a very long time. So, with that in mind, I think I am going to break it up over a few posts like a mini series. As you have probably guessed, the first instalment is on cheek products. I have done my best to include items that suit every budget so I can enable you all in your shopping! Aren't I nice?! Now, I just bloody love a peachy/ coral blush in the warmer months, who doesn't? These three are all in that vein but different enough that they can all be totally justified. First up is Peach Melba by The Natural Collection, a peachy blush leaning slightly on the brown side. It gives the nicest flush to the cheeks and I find it to blend out easily as well. I have to admit the staying power on this could be a little better however for it's £1.99 price tag I don't think you can really knock it. 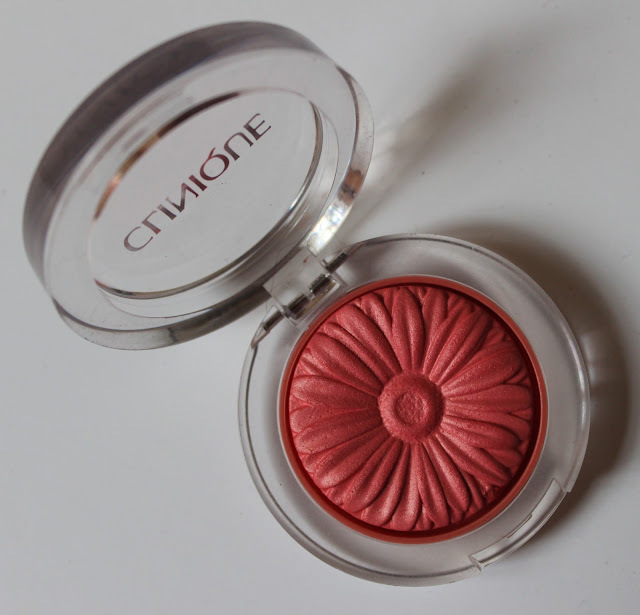 Another powder blush I get a lot of use out of in the Spring is the Clinique Cheek Pop in Peach Pop (I did tell you I like Peach blushers ok?) when I first got this I almost didn't want to use it because of the amazing flower embossed design. Saying that I have given this a good go and the print is still hanging on it there, which shows that this is a very pigmented colour. You really do need a light dusting on your brush to give your cheeks a decent amount of colour, the slight shimmer really sets the colour off and gives a nice glow to your skin. In general I'm a powder blush girl but sometimes I like to mix it up and when the Bourjois Aqua Blush line was released last year I was very intrigued. Its a gel texture that is meant to have a skin like look so that it appears super natural. I would agree with that, the colour with this is very sheer and I would tend to use this on a 'no make up' make up day just to give me a bit of colour. I have the colour Cocoricorail, which is a coral/peach shade. I am really into liquid highlighters, I just like how they look on the skin and feel they give off that 'Jlo glow' and I have to admit I do enjoy channelling my inner Jen! 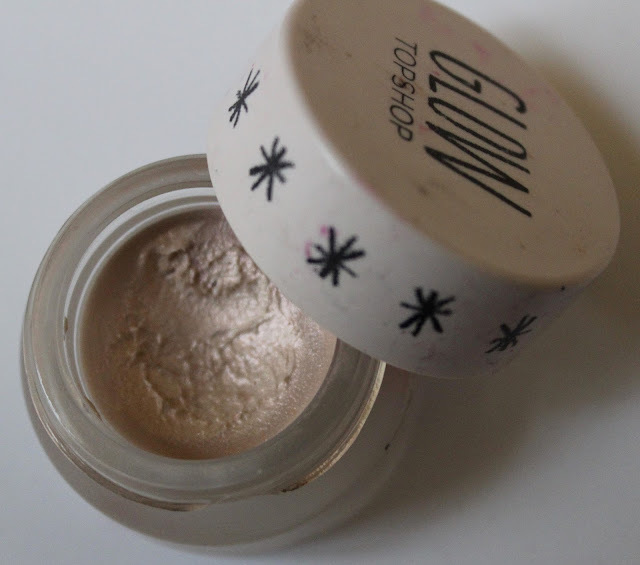 Topshop Glow Highlighter in Glow is something that really should get more love as its brilliant. Its an almost white highlight which on my skin works a treat, I just pat this on with my fingers so its very easy to use. Its also a steal at £9.00! 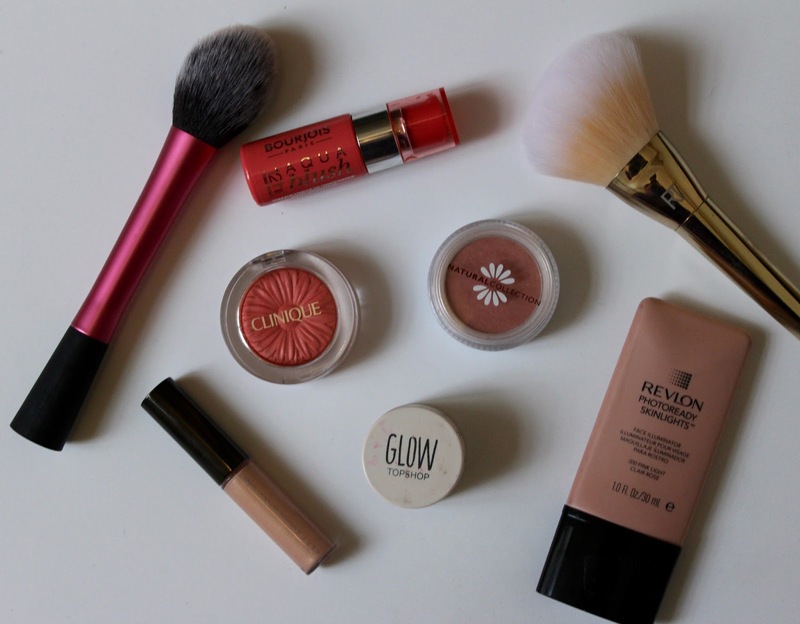 Another bargain is the Revlon Photoready Skinlights in 200 Pink Light, which is a pinky toned highlight- beautiful! 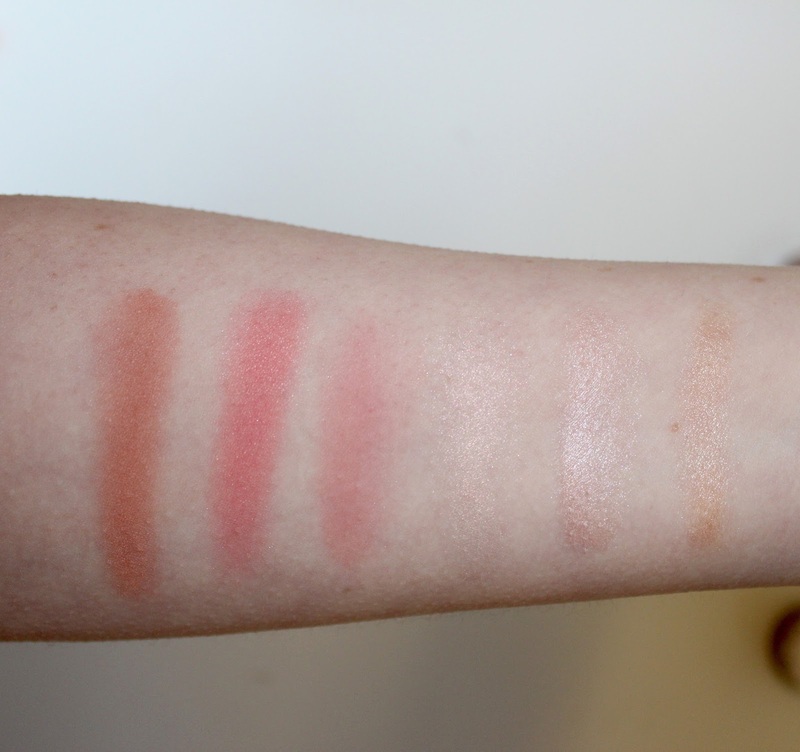 If you fancy a splurge then I recommend the Becca Shimmering Skin Perfectors, I have a mini version of the shade Opal. This highlighter isn't the best on my skin tone but I still wanted to give it a mention as on tanned skin it would look fab! As I said these are on the pricey side at £34 for a full size bottle but in my opinion its worth it. What cheek products do you love in the Spring time? Are you obsessed with peach blushers too? Surely I'm not the only one!